Astronaut Alex Gerst captured from ISS the night global map. It is almost complete darkness except the Hawaii Islands. 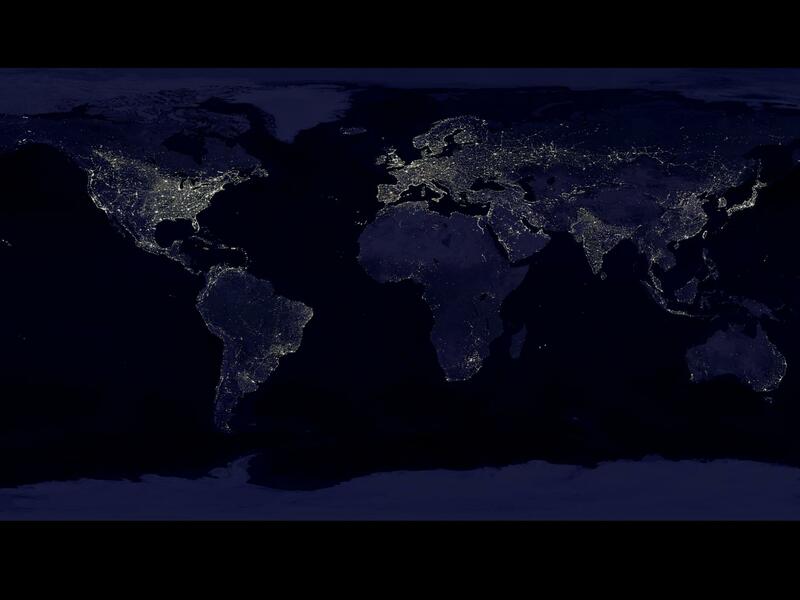 This darkness of the Pacific Ocean at night is recognizable from the global view of Earth at night. This is the black marble and the Pacific Ocean can be seen at 22sec.